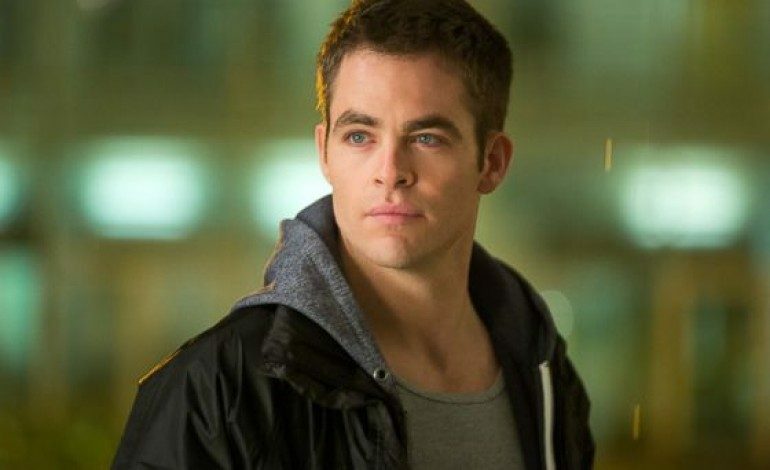 Chris Pine (Star Trek) will be playing Steve Trevor in Wonder Woman, which stars Gal Gadot (Furious 7) in the titular role. There has been some speculation as to what time period the live action DC Comics feature will be set in. The picture below shows a first look at Chris Pine on the set of Wonder Woman. His wardrobe suggests a possible timeline in the World War I era for at least part of the story. The handsome Pine is seen with long sideswept locks, a long-sleeved cowl neck and leather vest, brown slacks and high boots. Seated beside Pine is French actor Saïd Taghmaoui (G.I. Joe : Rise Of Cobra, Three Kings) costumed in an old-style three piece suit. His character is being kept under wraps. Taghmaoui took the photo and posted it on his since-deleted Facebook and Instagram pages. According to slashfilm, there is a rumor that the second half of the film takes place in present day, and another rumor that Steve Trevor and Wonder Woman will work in the present day to avert a possible World War III. Oscar winner Nicole Kidman (Secret in Their Eyes) is rumored to be in talks for a role of an Amazonian warrior in the film. Patty Jenkins (Monster) directs and Jason Fuchs (Pan) penned the screenplay. The Warner Bros/DC Entertainment film is scheduled for release June 23, 2017. That may seem a ways off, but take heart as filming is currently underway. Gadot, however, will first be seen as Wonder Woman in next springs’ eagerly anticipated Batman v. Superman: Dawn of Justice.